The most authoritative resource available on dietary supplements, natural medicines, and complementary alternative and integrative therapies. Amazing 7, 14 or 21 Day Seasonal Detox. The Daily Nutritional Support Shake (DNS) was created to be Dr. Cabral’s private clients "One Stop Shop" when it came to taking multi-vitamin, mineral, electrolyte energy blend, antioxidant, and detox support formulas. Has 15g of vegan protein from hypoallergenic rice & pea in order to make it a complete meal. You can now literally wake up, make a smoothie with my all-natural Daily Detox Shake and take all of your supplements for the day! And, for less than $2.50/day you're saving hundreds of dollars per month. The Daily Detox Shake is more then 12 different nutritional supplements in one at a fraction of the price! It is literally the best product available at the best price. Compare by following this link for yourself and see how you could be saving at the same time you're getting healthier & transforming your body. The Daily Nutritional Support Shake is more then 12 different nutritional supplements in one at a fraction of the price! It is literally the best product available at the best price. Compare by following the link for yourself and see how you could be saving at the same time you're getting healthier & transforming your body. Think about how much healthier you'd be if you added 22 organic fruits & vegetables to your diet every day. It's time to make the switch and begin to enjoy all the benefits of improved energy, mood, skin, hair, nails, health, and overall vibrancy. Dr. Cabral uses this exact product every morning as part of his daily health protocol. The vegetable, fruit, and berry ingredients are brightly colored and non-oxidized, as the powders are protected from heat, UV light and moisture from start to finish. These greens have a Paleo profile; they contain no grains, legumes, alfalfa, corn, gluten, fructose or artificial sweeteners. Unlike other greens products, we never add inexpensive fillers or bulking agents such as fiber, whole grasses, pectin, rice bran, and/or flax, which account for 40% to 60% of the content of most other greens products. Plus, using 1 TBSP of Dr. Cabral's Daily Fruit & Vegetable Blend is simple...it mixes instantly in water or in a shake without any blending needed and there's no messy clean up! WHY DO YOU NEED VITAMIN D3? Vitamin D 3 enhances calcium absorption and retention, a key nutritional role in supporting healthy bones, and may play a potential role in cardiovascular, colon and cellular health. Cellular Health: Studies suggest vitamin D supports colon health by promoting healthy cellular function. Both conventional and naturopathic medicine agree that your thyroid needs very specific nutrients in order for it to function properly. Without those nutrients, you cannot expect it to have the raw material to actually create enough thyroid hormone to operate at an optimal level. And when it's not functioning well, your body and brain will present very specific symptoms. If you answered yes to more than one of the symptoms above you may be suffering from lowered thyroid function. Estrogen Balance is a targeted supplement that combines the synergistic benefits of the cruciferous vegetable metabolites Indole-3-carbinol (I3C) and diindolylmethane (DIM) to support proper estrogen metabolism. Formulating I3C and DIM together creates the ideal combination of beneficial metabolites that work together to support estrogen balance, breast and prostate health. Estrogen collectively refers to the female hormones estradiol, estrone and estriol. Hormones have important functions in every area of the body. They are chemical messengers that interact with cells all over the body (especially tissues that are more sensitive to them, including breast and prostate tissues.). The most important message they deliver is to grow, divide, and multiply. For this reason, hormones are critically important in human development and tissue repair. Supporting proper estrogen synthesis, metabolism and detoxification is essential for proper hormonal balance. Depending on how estrogen is metabolized it can result in different metabolites, each with individual biological activity. By keeping hormones in balance and ensuring the body is able to process hormones properly, cruciferous vegetable metabolites (such as I3C and DIM) work together to reduce hormone overload and maintain cellular health. Stress is defined as any disturbance –extreme cold or heat, psychological stress, sleep deprivation, work overload, physical trauma, as well as toxic exposure- that can trigger the stress response. The body’s stress response system is comprised of the hypothalamic-pituitary-adrenal (HPA) axis. Prolonged stress triggers the HPA axis and consists of three stages: alarm, resistance and exhaustion. The initial, short-lived phase is the body’s normal fight-or-flight response to danger, characterized by elevated cortisol levels. The subsequent resistance phase allows the body to continue buffering extended stress exposure, long after the initial fight-or-flight response has dissipated. Hormones released by the adrenals, such as cortisol and DHEA, help support the “resistance” reaction. Extended periods of stress not only burden the system, creating an imbalance in cortisol and DHEA production, but can result in mental and physical fatigue, nervous tension, irritability and poor memory- all of which are characteristic of stage 3. Four highly absorbable forms of magnesium support healthy blood pressure, circulation, and muscle and nerve health. Equilibrium Nutrition chose Iron Response as our top pick for an iron supplement that was made completely from food. The issue with iron is that it can oxidize and create free-radical damage in the body when given in a synthetic or metallic form, which is why we opted for the safer, cleaner version. Daily Activated Multi-Vitamin is a comprehensive, hypo-allergenic, multi-vitamin and mineral blend. As a complete multi-vitamin, Daily Activated Multi-Vitamin provides high-quality nutrients to build a healthy micronutrient reserve. USP* B vitamins support energy production and folate (as Quatrefolic™ - 100% 5-MTHF), the biologically active form of folic acid, improves methylation. Albion® TRAACS® chelated mineral complexes enhance bioavailability. Daily Activated Multi-Vitamin includes an optimal 2:1 magnesium to calcium ratio. Key antioxidant vitamin C, natural vitamin E mixed tocopherols and carotenoids protect cells from free radical damage. Daily Activated Multi-Vitamin also contains the synergistic blend of vitamin K2 (as MK-7) and D3 which are critical for supporting bone strength and cardiovascular health. Trying to kill and remove parasites is not as simple as taking a few herbs like black/green walnut and hoping that you’ve done the job. By following this scientifically researched herbal & biofilm enzyme protocol I’ve been able to help my private wellness clients take back control of their gut and remove unwanted pathogens. It's not enough to do a 3 or 4 week parasite cleanse. Parasites can lay eggs and the 2nd life cycle can last another 21 days. This means unless you're going through at least 2 parasite cleanse protocols you may not have fully eliminated them. Also, parasites can hide under protective biofilm layers, which is why many programs do not work. After reading the research and studying both ancient remedies with modern advancements, I have combined what I believe to be the best of both worlds for superior results. 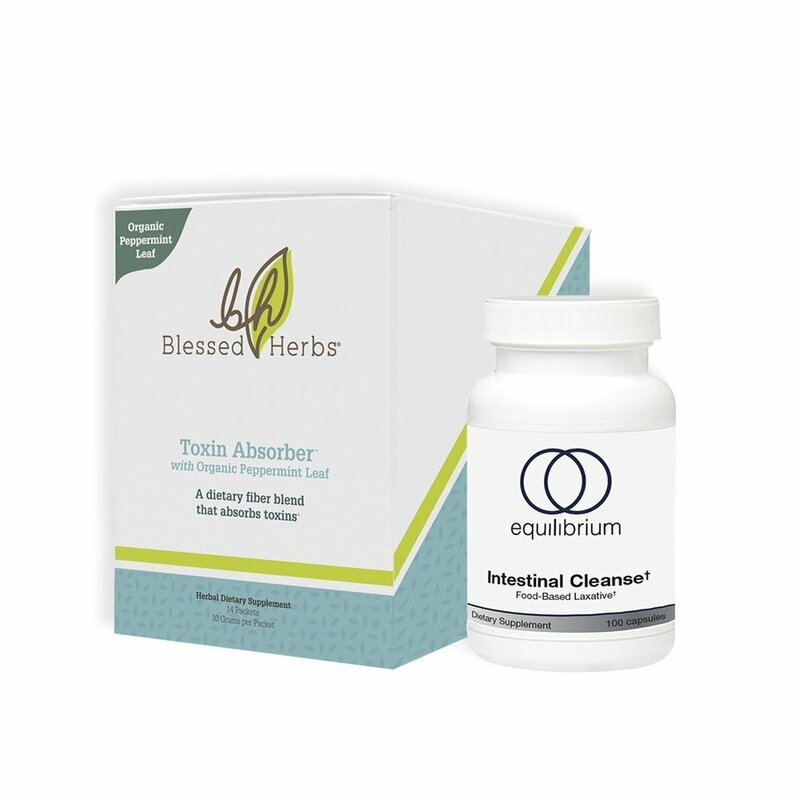 This is the same intestinal cleanse Dr. Cabral also recommends for upset stomach, traveler's diarrhea, food poisoning, stomach "bugs", and most other ailments affecting your intestines and causing irregular acute bowel movement issues. (1) Bonus Special Report on "How to Never Be Constipated Again"
Maximum GSE liquid concentrate contains Citricidal®. Citricidal is a natural quaternary compound synthesized from the seed and pulp of grapefruit. The manufacturing process converts grapefruit bioflavonoid (polyphenolics) into an extremely potent compound. The CBO Method 12-week protocol enables you to eliminate the unwanted pathogens living in your gut and do it in a scientific way that allows you to work up from the gentlest to strongest protocols, and this means you shouldn't get any of the unwanted die-off side effects. Healthy Gut Support is designed to promote the health and barrier function of the gastrointestinal (GI) lining. Its unique formula includes nutrients that support the gut mucosal epithelium and heal & seal the causes of intestinal permeability. The purpose of the epithelium is to allow the digestion and absorption of dietary nutrients while keeping unwanted toxins, microbes and food particles from passing directly into the body. Healthy Gut Support includes a high dose of L-glutamine (4 g), which serves as nutrition for the gut lining. It provides 400 mg of deglycyrrhized licorice root extract (DGL) and 75 mg of aloe vera extract, both of which protect and promote the health of the gut mucosa. N-acetyl glucosamine and zinc boost GI integrity. (1) Bonus Special Report "How to Sleep Like a Baby"